Trevor's Cub Scout Pack held their Blue & Gold this week. Since we're relatively new to this Pack, this was our first Blue & Gold with them. (We attended two different Blue & Gold celebrations during Trevor's Tiger Year, one I planned for the Pack we left, and one with the Pack that temporarily took us in.) So it was a surprise to us when each of the boys was asked to bake and decorate a cake for a silent auction at the Blue & Gold. Trevor wasn't sure what to make, so he and I sat down at the computer and scrolled through a bunch of images of decorated cakes, seeing if anything would inspire him. He fell in love with this image of a snake cake. It seemed manageable. We'd bake a bundt cake, cut it into chunks, and arrange them to form a snake's body. Then Trevor would pipe the frosting, add marshmallow eyes, chocolate chip nostrils, and a fruit leather tongue. With a plan in place, we bought our supplies and waited until the big day. We ended up having to have a much shorter snake than Trevor had planned, due to the fact that all completed cakes had to fit in a 13 x 9 inch cake box and we hadn't made a template ahead of time to test for size. Oh well. Despite being a bit stunted, it was still adorable. Here is the Snake Cake just minutes after Trevor put it on the auction table. Two bids already! Trevor was thrilled with how his cake turned out and proud that it brought in a good amount of money for the Pack. The cakes were fun and dinner was very tasty, but the highlight of the Blue & Gold was seeing the boys who had made rank go through their ceremonies. Trevor and six other boys in Den 1 were awarded their Wolf. During the ceremony, a red paw print was painted on their right cheek to signify their achievement. When a Cub Scout earns a rank, he receives a corresponding pin to give to his parent (traditionally, his mother) as an acknowledgement of the role that (s)he plays in supporting him through Cub Scouts. Steve and I share Cub Scout parent duties, but I'm the one who gets the pins. I've been storing my pins with our other Cub Scout stuff and wasn't sure if I was supposed to be wearing them or displaying them somehow. After a quick search, I found a tutorial to make a pin necklace that looks great and seems easy enough for a sewing novice like me. I love that it incorporates both the Cub Scout and the Boy Scout colors, with room for all the pins as Trevor moves up the ranks. I have high hopes that in about ten years I'll be adding an Eagle pin to my collection. I kept most of the elements from the sketch, including the tags, hearts and journaling strips. I added two photos to the three in the sketch and did some flipping and rotating. To see what the other designers made, head over to Ideas for Scrapbookers! Each layout is completely different! My niece, Allison, celebrated her first birthday last weekend. Because she lives about an hour away from us and about 1000 miles away from the members of our extended family, I wanted to make her a photo gift that features family members who don't get to see her often. So with that in mind, I bought a pair of Photo Cubes. Unfortunately, the corners on the cube are a tiny bit too sharp for unsupervised baby play, so this will be something that she looks at with someone. But that's ok, since the idea is for her parents to name each person for her, ask her to point to Aunt Cindy or Uncle Steve or cousin Trevor, that sort of thing. As I mentioned, I actually bought a pair of these. I don't have photographs of the family groups on Allison's dad's side, so by giving them a second Photo Cube, they can make one so that she gets to know all of her relatives. I wish I'd thought to make something like this for Trevor when he was a toddler! I love taking photos from random events and tying them together into one layout. In this case, it's all pictures of Trevor playing in the water last spring through fall. My favorite part of the layout is somewhat hard to see in the scan, but it's the water droplets at the top. 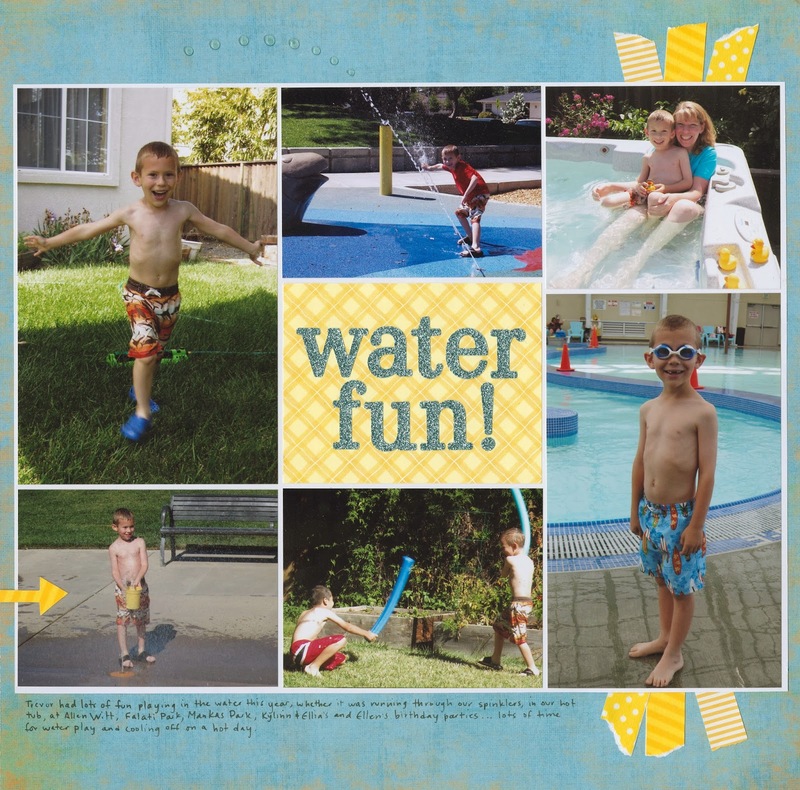 I used Glossy Accents to extend the spray of water from the top middle picture, arching it so that it leads the eye to the photo of Trevor running through the sprinklers in our backyard. Water play is a huge part of our summer most years. Hopefully we'll get enough rain in the next few months that the drought won't prevent us from having water play this year. I was young, but I can clearly remember California's drought from the mid-70's and how it impacted nearly every facet of our lives. With severe limits on bathing, flushing, and irrigating, there was absolutely no water for playing. I don't ever want to go through that again. Anyone else remember drought restrictions, either from California in the 1970s or elsewhere at a different time? I'd love to hear your memories. We have a lot of January and February birthdays in our family, which means that as soon as Christmas is over, we have to start thinking about birthday gifts. This year, Trevor made personalized keychains for several family members. We started by choosing pieces from my ridiculously large collection of wood shapes. We used the Fiskars Craft Drill to put a hole in each, then Trevor painted them with a base coat of acrylic paint. When that was dry, he added a layer of Extreme Glitter Paint. LOVE that stuff. When they were good and sparkly, I showed Trevor how to use rub-ons to add each person's initial to his or her keychain. We put two coats of Mod Podge on top, making sure to let it dry between coats. Finally, we added a ball chain. Of course, I made a keychain for myself while Trevor was making them for family members. I'm incapable of not participating when crafting is going on around me, regardless of what else I could or should be doing. An explanation of why I am CJ even after becoming a deRosier. Cute, personalized keychains that were fun, easy and inexpensive to make. Can't beat that. I like color. A lot. In fact, I don't think I have EVER made a layout that didn't have color. So for fun, I decided to challenge myself to scrap without color. Anyway, I added some silver ribbon, punched a star and added some silver Stickles to it. I added the same Stickles to the chipboard numbers and put them in place. Then I went through a bunch of different sticker sheets to find sentiments in black, grey or silver that were vaguely relevant to the topic. Finally, I journaled in black pen around the edges of the layout. In person, it's shiny and sparkly and the journaling is legible. I really like how it turned out. Have you ever scrapped without color? I can definitely see trying it again sometime. It's a common problem: What do you do when you want to scrapbook an event, but the pictures are terrible? 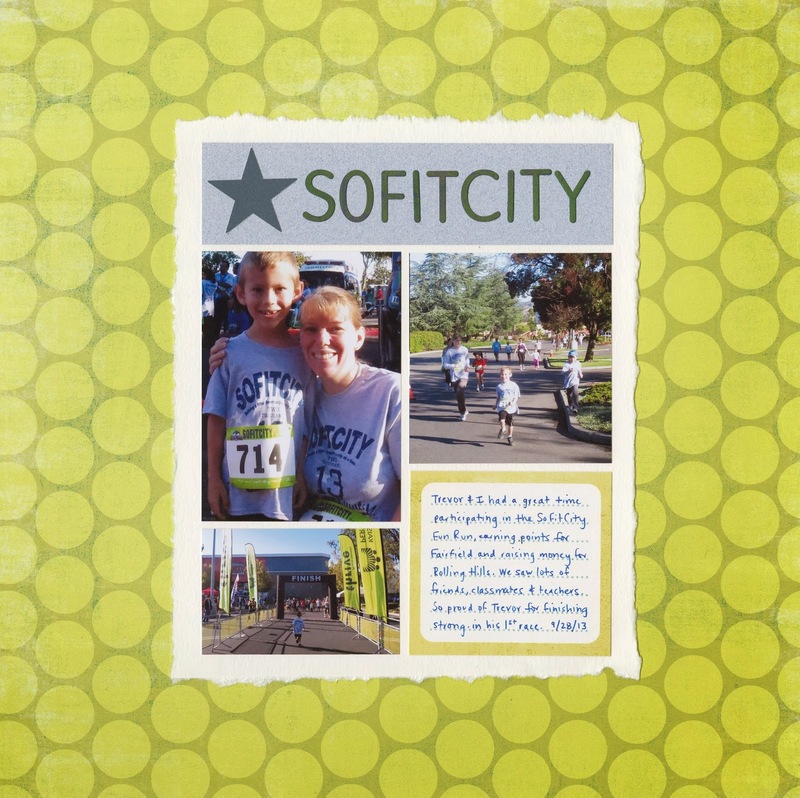 Last fall, Trevor and I participated in a fitness event called SoFitCity, a friendly competition amongst the cities in our county to see who would win the title for having the most participants do one of the runs. Trevor and I did the Family Fun Run. Obviously, running and photography don't go together all that well. We bumped into a friend right before the start and had her take a picture of us together wearing our race numbers. During the race, I zoomed ahead of Trevor around the midpoint to take a picture of him running. Then I stopped running near the end so I could fall back and take a picture of him about to cross the finish line. None of the pictures turned out great, but I really did want to document the event. My solution was to print them small, group them together, and keep the layout really, really simple. 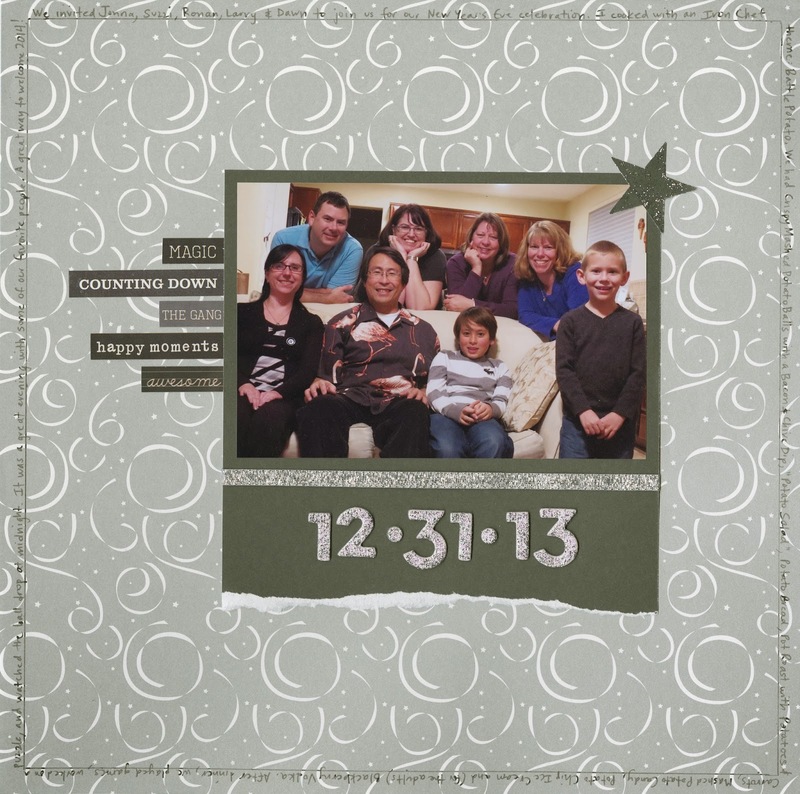 It's not the greatest layout ever, but it's in the album and the memory is recorded, despite the mediocre photos. Oh, and for the record, our city won the SoFitCity title. That made a fun day even more awesome. As I've mentioned many times, I have a policy that each event, trip, etc. we take gets exactly ONE layout and no more. While it may seem like this would make it easy to scrap vacation photos quickly, exactly the opposite occurs. When I come home from a trip with 1000+ photos, it is really, really, really hard for me to commit to which dozen or so that I will scrap. By the time I finally decide, a long time has passed. It all starts out well. When I get home from a trip, the first thing I do is dump the photos from my camera to my computer. (Literally, the FIRST thing. I really like seeing my vacation pictures.) Within the week, I get pictures from Steve and/or the other family members who traveled with us. I go through them all and upload all the decent photos to our personal gallery and add captions. That part is easy. Time consuming, but easy. The hard part comes when I have to decide which ones to print. I can quickly and easily prune the 1000+ pictures down to 200 or so that are good and have some relevance to the story(ies) that I want to tell. Over the next few weeks, I go back to the photos a couple of times and make further cuts. And then I stall out. When I get down to 50-60 good pictures, I struggle to narrow them down so I stop trying. Weeks (or months) pass. Eventually, enough time has passed that it becomes easy to pick which photos to print. Next, I take some time to think about the layout of my page and make the decision whether to print each photo as a 4x6, 3x4, or 2x3. Then I make the appropriate collages. I don't enjoy this step, so I usually stall out here for awhile too. Weeks (or months) pass. Eventually, I get it done and order the pictures. Once I have the prints in hand, it usually takes me a few weeks to scrap them. When there is only ONE layout for a major trip, there's a lot of pressure to make that one layout a good one. I agonize over every detail. Eventually, it all comes together and I'm ready to scan it and share it here. All of that helps explain why, in February 2014, I am sharing the one and only layout from our November 2012 trip to Oahu. I have to say, the wait was worth it. I'm really happy with this layout and how well it represents everything we did and saw during our vacation. At the end of each academic year, a Cub Scout moves up to the next rank. This is called bridging. 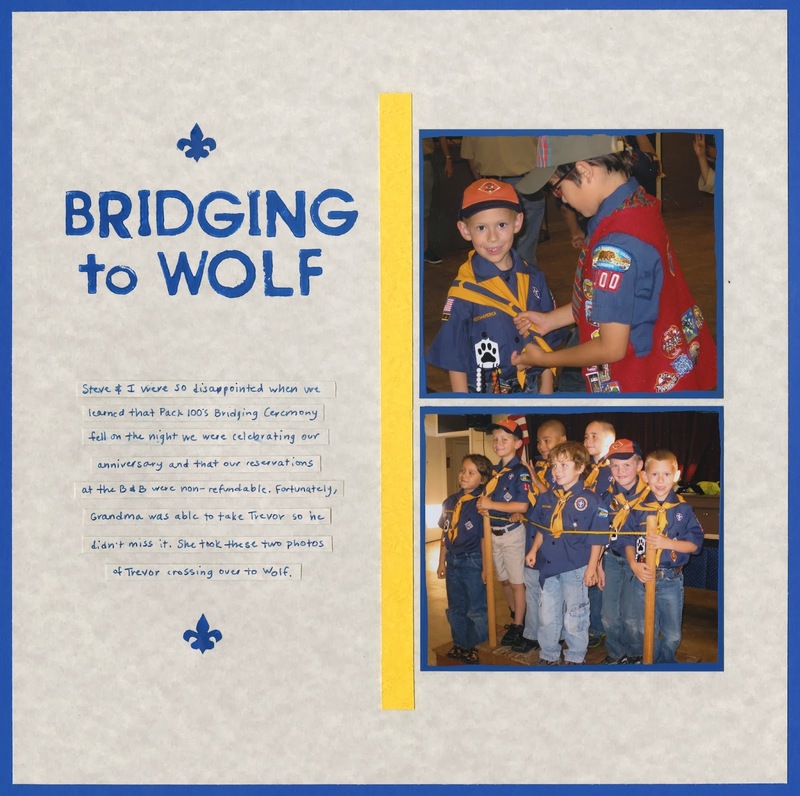 In many Packs, the boys cross over an actual bridge during a ceremony to signify the transition from one rank to the next. It's a big deal. Steve and I missed Trevor's first bridging ceremony. Our anniversary is May 30. Each year, we spend either the night of the 29th or the 30th at a B&B to celebrate. We checked the calendar, arranged for Grandma to babysit, and booked our non-refundable room for May 29. A few weeks later, we learned that the Pack that had taken us in would be having their bridging ceremony in the evening on May 29. Grandma took Trevor to his bridging. She didn't take as many pictures as I would have, but no matter. Two were perfect for telling the story. A few notes about the layout. I wanted to use the blue and gold of the Wolf rank for the layout. I had papers that were the right color, but no letter stickers or inks that were even close. I did, however, have paint that was the perfect shade. I stamped the title with paint, then did something I've never done before: instead of matting them, I painted directly on the edges of my photos to give the look of a mat. While those were drying, I fussy-cut two small fleurs de lis and painted them the same blue. It was fun to try something new. For the record: Steve and I will both be there later this year when Trevor bridges from Wolf to Bear. It doesn't conflict with our anniversary. Instead, it's on Trevor's birthday! Trevor started Cub Scouts last year as a first grader. We joined the small Pack that was getting started at Trevor's school, hoping to be able to help grow it into a larger, active group. Instead, as the year went on, the already-tiny Pack shrunk to the point that Trevor was the only one in his Tiger Cub den. That wasn't the Cub Scout experience we wanted for Trevor, so we spent the rest of his Tiger year with a variety of other Packs who kindly and graciously let us join them for meetings, activities, field trips, and events. While it was not the situation we necessarily would have chosen, spending time with so many different Packs over the course of the year was a blessing in disguise. We met so many wonderful people, both boys and their leaders. We saw how different Packs run their meetings and activities. We learned a lot about what we wanted in a Pack and what would be best for Trevor. Knowing what was out there allowed us to make an informed decision about what Pack to join for Trevor's Wolf (second grade) year. We couldn't be happier with our new Pack. For a long time, I wasn't sure how I wanted to scrap Trevor's Tiger Year and how exactly to tell the somewhat confusing story of how he came to be participating with so many different Packs. When I looked back through all the photos from Tiger meetings, field trips, and activities, I chose a dozen highlights from the year and decided to just put them all on one 2-page layout. Instead of trying to tell the story from my point of view, I thought about what Trevor would want to see in his scrapbook. He didn't need to hear about the agonizing his parents did over whether to leave the original Pack, or the effort we put into making sure Trevor didn't miss out on any of the things a Cub Scout in an active Pack would do. He would want to see pictures of the cool things he did, with an explanation of where each picture was taken. So that's what I did. Simple, colorful, and a great visual reminder of his Tiger Year. Time for February's Project 41! I was absolutely thrilled to see that February's flavor-of-the-month was a variation on one of my all-time favorite Baskin-Robbins flavors. Love Potion #31 Dark is "... chocolate ice cream mixed with white chocolate flavored bits and raspberry filled hearts, coupled with a red raspberry flavored ribbon and ice cream." Yum! My companion this month was my friend Amber. I met Amber almost exactly 7 years ago when she and her infant daughter joined the MOMS Club Trevor and I were in. 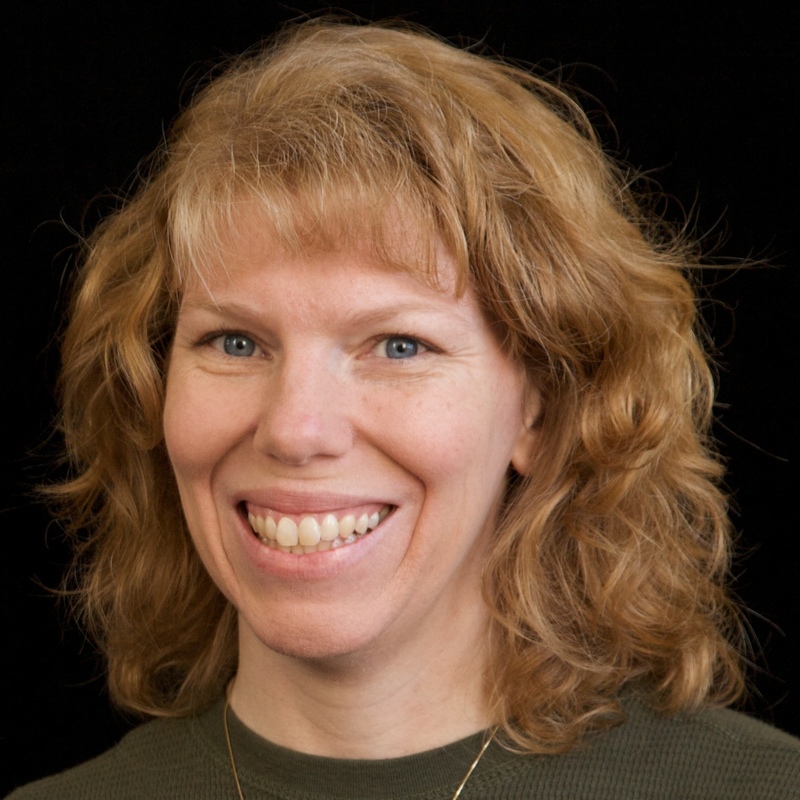 For several years, I saw Amber frequently at playgroups, Family Saturday outings, and MOMS Night Out activities. As the kids entered school, we saw each other less and less. For the past few years, I've only seen her once in a blue moon when running into each other at the grocery store or other places around town. I've missed hanging out with her. In December, she was actually the one who saved the day with the "I" dollar bill, so we chatted a bit then. She's now on maternity leave with a month-old daughter, so it was the perfect time for us to meet for ice cream and really catch up. So how was the ice cream? Fantastic! I love raspberry with chocolate and the raspberry-filled hearts were delicious. I'm not sure whether I prefer this dark version of Love Potion #31 or the original. Both are really good. I've made seven layouts so far in 2014. (The curling one isn't new.) All seven are one-page spreads. That's not surprising, as over the past five years or so, I've moved from doing about 95% double-page spreads to about 95% single-page layouts. Of the seven single-page layouts from 2014, three of them feature 1 photo, two of them have 3 photos and two of them have 6 photos. I thought it was a weird coincidence that out of seven layouts, they all had 1, 3 or 6 photos on them. But is it a coincidence, or do the majority of my layouts feature 1, 3 or 6 pictures? I didn't have any one-page layouts in 2013 with 5, 7, 8, 9, 10, or 11 photos on them. I was really surprised. Three photos is my most common, but I didn't realize I'd done as many single-photo layouts as I had. I would have expected more pages with lots of photos, as that is one of the things I'm known for... or, at least, it used to be! Apparently, I'm putting fewer photos on each page than I thought I was. Another interesting note: almost every one of my layouts with two photos on it is a Then & Now. How about you? Is your typical layout one-page or two? How many photos do you put on a page? Has that changed over time? When I asked Trevor whether he wanted to make or buy valentines this year, he didn't stop to think. He wanted to make them and they would be Ninjago-themed. We worked together to design a simple card with a ninja and "Happy Valentine's Day!" on it. We printed the black/white design on cardstock, four to a sheet. We cut them apart, then used red pen to color the border. He signed his name on the back, then used colored pencils to make the images look like Kai, Jay, Cole and Zane. Trevor needed to make a minimum of forty valentines, enough for his classmates and his Cub Scout den. Not too long through the coloring, he decided that most of his friends would be getting Zane, the Ice Ninja, who required the least amount of coloring. Once the coloring was done, we turned our attention to the treat. Because there are fewer of them, Trevor's Cub Scout friends will be getting the more labor-intensive chocolate Legos. We made them with the same ice cube tray we used to make the cupcakes at his Lego birthday party. I'm looking forward to seeing what kinds of valentines he receives. I'm really hoping there are some homemade ones. Trevor is just hoping for his favorite candies. Growing up, I always made my own valentines. When my classmates and I exchanged valentines in the 70's, I received a few store-bought valentines, but for the most part, kids made their own valentines. By the time I was teaching in the 90's, the vast majority of the kids gave store-bought valentines. There were always a few kids who made their own though, which I loved. Not surprisingly, when Trevor had his first valentine exchange (with his MOMS Club friends) at age two, I helped him make his own. He used the warming tray to melt crayons on paper, then I punched out hearts. He cut random pieces of paper, glued everything together, added stickers, and was thrilled with his masterpieces (which, unfortunately, I did not photograph). When Trevor was three and in preschool, we attached stamped cards to crazy straws to give to his classmates and playgroup friends. He spent a long time carefully choosing which friend would get which card, then writing out his friends' names and signing his own. When Trevor was four, we punched hearts, placed them on cards, spritzed with Glimmer Mist, removed the hearts, stamped the sentiment, and then he carefully wrote out his friends names and signed his own. Then, in kindergarten, Trevor came home with a note saying that all the kindergarteners would be addressing valentines in class as one of their writing stations. We were supposed to send an unopened box of purchased valentines. Purchased valentines. Ugh. I was actually pretty upset about it, but took him to buy a box. I can't even remember what he chose. He did make a few valentines for non-school friends and family, but I didn't take a picture. In first grade, I asked Trevor's teacher early about her valentine policy. Trevor really wanted to make bunny-themed valentines, so I was hoping that purchased valentines wouldn't be required. Fortunately, homemade was not only acceptable but encouraged. Yea! Back to homemade valentines. Trevor made these awesome bunny valentines. This year, I asked Trevor what he wanted to do for his valentines. I was hoping he'd choose homemade, but it's his choice to make, not mine. Tomorrow I'll share what he decided. What about you? Did you make homemade valentines growing up? Do you now? What about your kids? Several years ago, my favorite albums were discontinued and I couldn't decide what to do. Try to find a style that was similar and deal with it if I couldn't find something? Switch to something entirely different? Transfer the existing layouts into new albums so that they'd all match? Ugh. Finally the day came when I filled the last page protector in my last album. For months afterward, I let completed layouts pile up my desk (after I'd scanned them, of course) because I couldn't decide what to do and didn't want to make the wrong decision. At $15-30 per album, I certainly didn't want to replace Trevor's existing 11 albums and buy enough for the immediate future without really thinking it through. My first dilemma: After a decade of post-bound, did I want to switch to 3-ring or D-ring? There are pros and cons, but after looking at a variety of brands of ringed albums in person, I knew they were not for me. The main reason? A 12x12 post-bound album is already too deep for most of the bookcases we own and the ringed binders add an extra 2-3 inches of depth. My second dilemma: What should I buy as a temporary stop-gap to hold the increasingly-large pile of layouts that needed a home? I ended up buying the absolute cheapest post-bound solid-colored album I could find, figuring that if I didn't like it, it wouldn't be too expensive a mistake. As it turns out, you do get what you pay for when you buy a really, really cheap album. It's holding layouts for now, but I'm guessing it will have to be replaced sooner or later. No more of that brand. 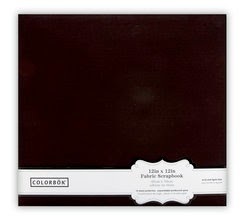 With fingers crossed, I tried another of the low-priced albums, this one by Colorbok. At $13, it was totally affordable and the quality was pretty good. Not top-notch, but perfectly fine for my purposes. I bought four more. I have filled two of them and just put the post-it flags into my third using my usual system. I should be good for another two years or so with what I have. I've now shared four different ways I've given money as a gift, including the Cardboard Tube Dollar Bill Dispenser, the Tissue Box Dollar Bill Dispenser, the Knitting Kit, and Spelling with Dollar Bills. All of them were extremely well-received. The Dollar Bill Dispensers, in particular, have been pinned hundreds of times and been viewed many, many times. Materials: empty Kleenex box, wrapping paper, Scotch tape, tissue paper, crisp dollar bills, index card, border punch, Sharpie. Step 1: Tape the dollar bills together end-to-end using Scotch tape. I've gotten really fast at this over the past three months, but having mint-condition dollar bills is what really makes a difference. Get new bills from the bank and you won't waste any time smoothing, unfolding, or lining up the bills. 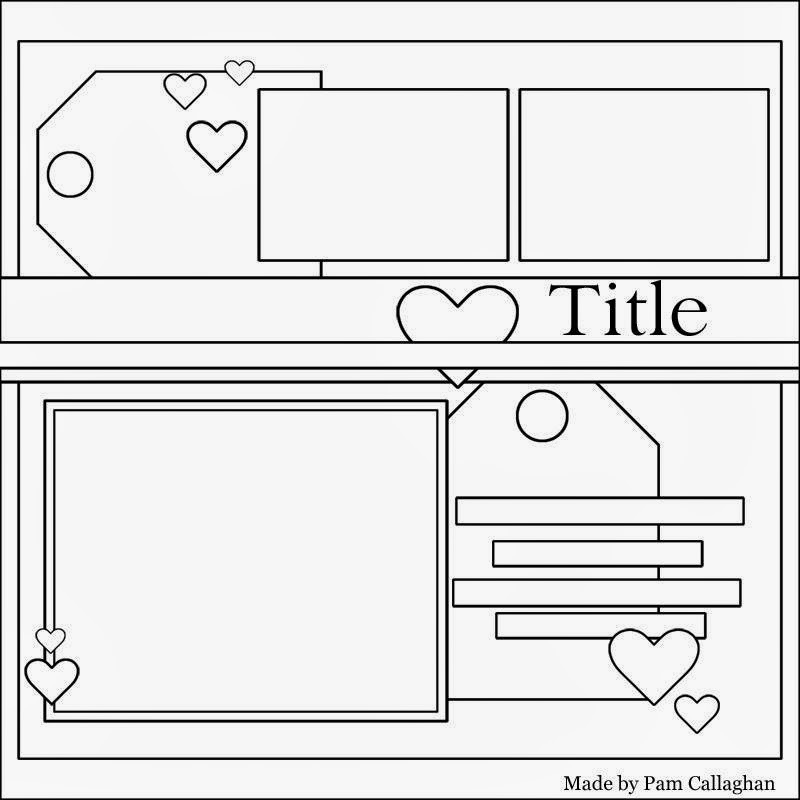 Step 2: Use the border punch to put a decorative edge on the short side of the index card, write the word "PULL" on it, and tape it to the last bill. Step 3: Wrap the Kleenex box in wrapping paper, keeping track of which side is the top. (I use a post-it flag.) After the box is wrapped, use the scissors to poke through the wrapping paper to reveal the opening of the Kleenex box. Step 4: Roll up the dollar bills into a tight roll. Hold the roll in your hand with the PULL tab facing up. Place the tissue paper over the opening of the Kleenex box. Gently push your hand into the Kleenex box, forcing the tissue paper into place and depositing the bills in the box. Step 5: Adjust the tissue paper to make it look ok and to make sure it isn't blocking the PULL sign. The gift is ready to give! We're huge fans of Perler Beads around here. While working on my Fun Family Crafts job, I found a pattern for an Olympic Flag made from Perler Beads and immediately printed it out for Trevor. Here's his finished flag. While Trevor made the Olympic flag, I got to work on a flag of my own. You might recall our First Annual Family Olympics last summer, where I represented St. Vincent and the Grenadines (and just missed making the medal stand). I got the idea in my head that I could make a flag necklace from Perler Beads to wear during the Family Olympics to intimidate my opponents (same logic as my Scrabble Necklace). It wasn't too hard to translate the St. V & G flag into Perler beads. I added some monofilament after I took the picture and it works perfectly as a necklace. Trevor thought making a necklace for the Family Olympics was a great idea and decided he'd be making one too. He represented Mexico last summer but decided to switch to the Bahamas for next summer. (We visited the Bahamas during our cruise last fall and he really enjoyed it.) Fortunately, the flag of the Bahamas was also quite easy to translate to Perler beads. Since Trevor and I now had flag necklaces for the Family Olympics, I asked Steve if he wanted to make one. Instead, he asked Trevor to make one for him, which Trevor happily did. Here is the flag of Lebanon (where Steve's maternal grandmother is from), in Perler bead form. I joked that we should have a friendly competition amongst us to see whether St. Vincent and the Grenadines, the Bahamas, or Lebanon would earn the most medals during the Sochi Winter Olympics. I suspected that the two Caribbean nations and one Middle Eastern nation weren't exactly medal contenders and that we'd be tied at zero. When I looked it up, I learned that neither St. Vincent nor the Bahamas has any qualifying athletes for Sochi. Lebanon has two, both in alpine skiing. So Steve does have a chance to ace out Trevor and me. Let the Games begin! I am not a sports fan by any stretch of the imagination. I don't enjoy watching any sports on TV... with one exception. I love watching the Olympics. I enjoy watching the sports I know something about, but I also like learning more about sports I know nothing about. One prime example: curling. I first learned about curling a few Olympics ago. A lot of people in the media had some not-nice things to say about the athleticism of curling, but I thought it looked really cool and I enjoyed watching the coverage. During the 2010 Olympics, our local skating rink announced they would be offering free curling lessons to anyone who was interested. I found a babysitter and Steve and I headed out for a what would be one of our most fun and memorable date nights ever. Curling is an absolute blast. If you ever get a chance to try it, go for it. Just know that it is, like most things, much harder than it looks. Anyone who dismisses curling or thinks it doesn't belong in the Olympics has probably never tried it. Tomorrow I'll share an Olympics-related craft. Anyway, there was enough of each ingredient left over for me to use them to make dinner the following night. I went the (obvious, I thought) direction of an English muffin sandwich. I started by slicing the zucchini thin and sauteeing it in butter over low heat. While that was cooking, I mashed the garbanzo beans and added pepper, olive oil, and a splash of balsamic vinegar, then spread that on the toasted English muffin. I fried an egg over-easy and then assembled the sandwich. If we'd had them on hand, I would have roasted some eggplant, red bell peppers, and/or tomato to add. A slice of fresh mozarella would have been fabulous too. But even without those, it was a delicious sandwich. The nuttiness of the garbanzo spread went perfectly with the zucchini and the slightly runny yolk was a nice sauce for the sandwich. I think I'll make it again in the summer when I can harvest a variety of veggies from our garden. Your turn! What would you have made from zucchini, garbanzo beans, eggs and English muffins? We make our own fun here in the deRosier household by turning ordinary activities, like making dinner, into something totally out-of-the-ordinary. After watching both Steve and me have our turns at cooking from a Chopped basket, Trevor desperately wanted his own turn. Steve and I went to the store to select ingredients. It was MUCH harder picking ingredients for Trevor than it was for Steve. We wanted ingredients that Trevor not only would recognize but would know how to prepare. We wanted items without major food safety issues so there wouldn't be any concerns about cross-contamination or inadequate cooking time. We wanted things that Trevor could prepare with minimal help, so nothing that would be challenging to cut or open. Finally, we wanted items that wouldn't be completely revolting if Trevor just dumped all four of them together. After much debate, we settled on these: English muffins, zucchini, garbanzo beans, and eggs. ... then laughed about the garbanzo beans. When he was a toddler, Trevor loved garbanzo beans so much that we bought them at Costco because he would go through a can every day or two. He called them bonzos and he liked to eat handfuls of them mixed with peas and blueberries on the tray of his high chair. After looking at the four ingredients, Trevor announced that he knew exactly what he would do. He started by cutting the zucchini. Then he asked me to cut some carrots for him. He was going to make a soup. With a bit of prompting, he sauteed the carrots and zucchini in butter, then added vegetable broth. He turned down the heat to let it simmer. He drained the garbanzo beans and set them aside to add to the soup. He turned his attention to the eggs. I'd included hard-boiled eggs amongst the raw so that he would have options (without having to spend 30 minutes making and cooling hard-boiled eggs). He peeled a hard-boiled egg, cut it into chunks, and set it aside. Then he went to the pantry and put six tortilla chips on each person's plate. He sprinkled grated cheese on top, then slid half an English muffin underneath the chips. He refused to tell us what his plan was. I was confused, to say the least. He returned to the soup, added the garbanzo beans, and tasted the soup. He added some pepper, garlic powder, onion powder, and grated nutmeg, tasting between each, and declared it perfect. He asked me to put each plate in the microwave to melt the cheese. He added chunks of hard-boiled egg on top of the melted cheese. He ladled the soup into bowls and presented his meal: a nacho plate with English muffin and hard-boiled eggs, and a soup of zucchini, carrots, and garbanzos. Time to dig in! First, Trevor demonstrated how to eat the nachos. Tear off a chunk of English muffin and put it on top of a chip, making sure there is hard-boiled egg on it. Then enjoy! We started with the soup. It was absolutely delicious. Seriously- you'd never know it was made by a 7-year old with minimal cooking experience. The broth was excellent and the veggies were cooked perfectly. I hope he makes it again soon. The nacho plate... well, the judges were kind but critical. Sliding an English muffin under nachos didn't transform the ingredient. It made no sense that the diner had to pull a chunk of English muffin apart before eating. It would have been better for Trevor to serve it already cut. The hard-boiled eggs weren't cut small enough to go on every nacho. They actually tasted just fine on the cheesy chips, but it was a bit hard to eat and definitely confusing. Overall, Trevor did a great job with his first Chopped challenge. He was extremely proud of himself and is excited to try again. When we cleaned up, I noticed that there was enough of each ingredient left over that I could cook dinner with them the following night. Tomorrow I'll share with you what I made with the same four ingredients. Soon after I finished writing this post, we got some very exciting news: Trevor was selected again as part of the Be the Change Student Summit! (See this post from two weeks ago for more information.) He's told some people already and gave me the go-ahead to share here. Congrats to Trevor! We're so proud.